New Dalit assertion in current political landscape forced parties to retreat to 'symbolism'; but will that be enough? The political landscape is changing rapidly, spurred most critically by a new Dalit assertion, which has made parties across the board scramble in their effort to keep constituents on board. To a significant extent, parties have fallen back on their default template: symbolism. A reflex prompted all the more by BR Ambedkar's birth anniversary celebrations on 14 April. The calculation, without a shade of doubt, is that by appropriating Ambedkar, they can appropriate Dalit support. Parties that are banking on this strategy could be in for a big surprise. 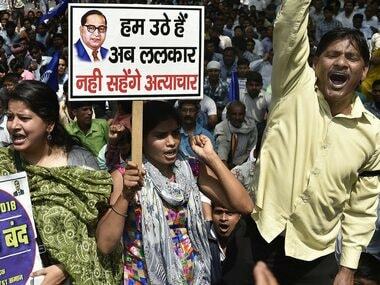 It does appear that given the Dalit upsurge, symbolism will not unlock the Dalit 'vote bank'. Dalit mobilisation in the run-up to the Gujarat elections was a signboard plastered with a message that could hardly be missed. The Bharat bandh called by several Dalit groups on 2 April, which witnessed a scale of violence that had not been anticipated by anyone, was the second message. The major political parties have not missed a part of it, which is why symbolic campaigns have moved up several gears. But, it does appear, they could be in danger of missing the critical part, which signals that the Dalits have become more self-reliant, confident and combative. Symbolism won’t wash anymore. Many crucial elections are lined for this year. Assembly elections concluded in Karnataka on 12 May. Towards the end of the year – probably in October –elections will be held in three states: Chhattisgarh, Madhya Pradesh and Rajasthan. And parliamentary elections are due in a year’s time. The Dalit vote has a bearing on all these elections and the Dalits know it. In Karnataka, they constitute 17 percent of the population. The corresponding figures for Chhattisgarh, Madhya Pradesh and Rajasthan are 13, 16 and 18 percent. Though, historically, the Dalits have not been known to consistently vote in blocks, nationwide, in the way Muslims usually do, they have shown a tendency to vote in blocks regionally. Without going into the historical and sociological reasons for this, some observations would be relevant. First, the Dalit ‘community’ (like the other backward caste ‘community’) is not a ‘community’ in the first place, but is composed of a number of sub-castes arranged in a complex social web. 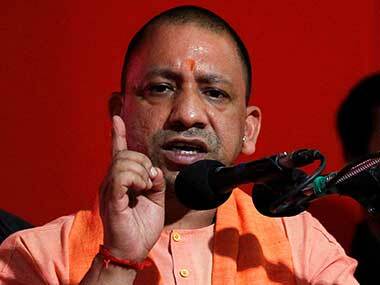 That is why the Bahujan Samaj Party (BSP) has not been successful in mobilising the entire range of Dalit groups in Uttar Pradesh. It has relied on the solid backing of one Dalit group and the intermittent support of others. That is also what helped the Bharatiya Janata Party (BJP) attract the support of various Dalit groups under a putative ‘Hindu’ umbrella. Some groups bought it, others didn’t, for the very good reason that there is no such thing as a Hindu community either. However, there are signs that various Dalits groups perceive that they have a common interest cutting across the dividing lines that undermine their solidarity. In other words, there might not be a Dalit community, but there is a Dalit interest. If this realisation spurs the majority of Dalit groups (or individuals) to forge a solidarity that could be reflected in voting patterns, the electoral game could change. 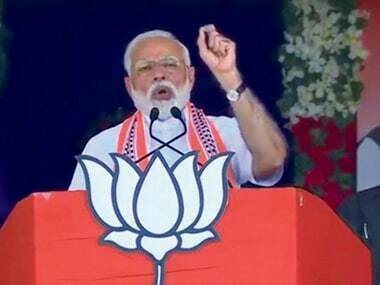 Clearly, the BJP will be affected the most by the way the Dalits organise, mobilise and vote, precisely because it is in power in three of the four states which are going to elections this year. Since 2014, the party’s run of electoral successes in north India, principally, has been made possible substantially by its ability to bring within its net groups that had traditionally not backed it: Dalits and tribal people. The perception (and to an extent the reality) that several dispensations run by the BJP have facilitated actions and policies that have hurt the Dalits, economically and in terms of the security needed to live unmolested, have now alienated many Dalit groups. This could, on one hand, torpedo the party’s project of ‘social engineering’ at micro levels and give a fillip to other parties contesting for the ‘Dalit vote’ – mainly the Congress party and the BSP, depending on the state or region you are looking at. 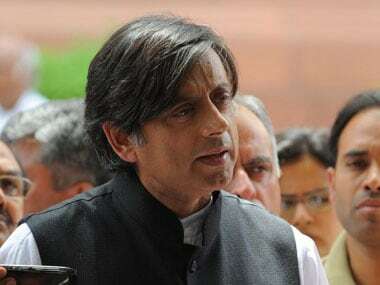 Going against the flow, it has been the Congress party that has been faster of the blocks in forging an alliance with the new Dalit movement on the basis of mutuality, rather than appropriation, and this has paid dividends. This was clear from the Gujarat election results, with the Congress and its new allies doing unexpectedly well. 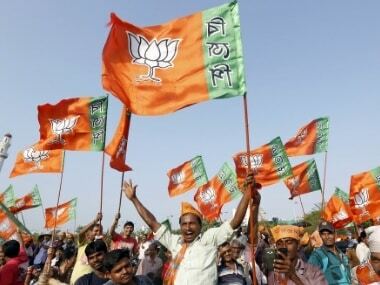 The BJP won, but it was humbled. 1New Dalit assertion in current political landscape forced parties to retreat to 'symbolism'; but will that be enough?